A woman had a female parrot which kept saying: "Hello, I am very horny. Do you want to have some fun?" She was frantic, so she went to her Pastor to find a solution to the problem. The Pastor said, "Bring your bird to my house. I have two male parrots who read the bible and pray all the time. They will be a good influence on her." 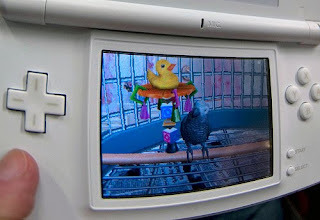 So, the woman brought the parrot to his house and put her parrot into the cage with the two male birds. She squawked, "Hello, I am very horny. Do you want to have some fun?" One male parrot looked at the other one and said, "Put away the Bible, our prayers have been answered." 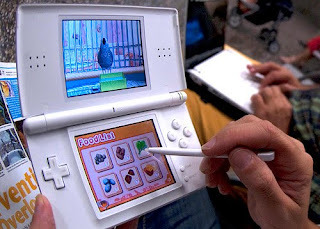 Nintendo DS: "Discovery Kids: Parrot Pals"